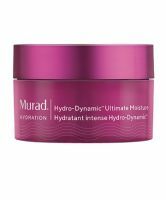 This is a great moisturizer, it feels thick and creamy, and it leaves my face oh-so-soft in the morning. It's rich but doesn't feel greasy. The only reason I didn't give it a 10 is because it doesn't have Argan oil in it. In case you haven't heard, Argan oil has tons of squaleens, anti-oxidants and inhibits the production of melatonin by melanocytes. Without it I feel any moisturizer is missing the newest (and oldest) beauty miracle around.